Thirty years ago on Tuesday, Tim Berners-Lee essentially gave birth to the web we know it today. In honor of the event, he’s out with a short treatise describing how the internet has transformed our daily lives, and how the whole thing could be spoiled if we don’t get control of several key problems. System design that creates perverse incentives where users’ value and well-being is sacrificed, such as ad-based revenue models that commercially reward clickbait and the viral spread of misinformation. The unintended negative consequences of benevolent design, such as the outraged and polarized tone and quality of online discourse. Many of the bad behaviors Berners-Lee calls out are typically perpetrated via social networks like Facebook. 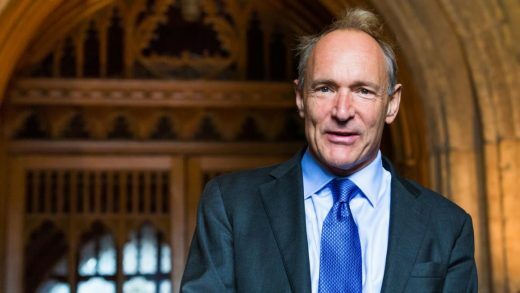 “Companies must do more to ensure their pursuit of short-term profit is not at the expense of human rights, democracy, scientific fact or public safety,” Berners-Lee writes, without naming any names. He also highlights an effort by the Web Foundation to build A Contract for The Web, a project modeled on principles like the Universal Declaration for Human Rights, and created in partnership with citizens, companies, and governments. (Sir Tim has also launched his own startup aimed at “decentralizing” the web.) But he stresses that governments have an especially huge role to play in the future development of the internet. Read his whole treatise—or if you like, web log—here.